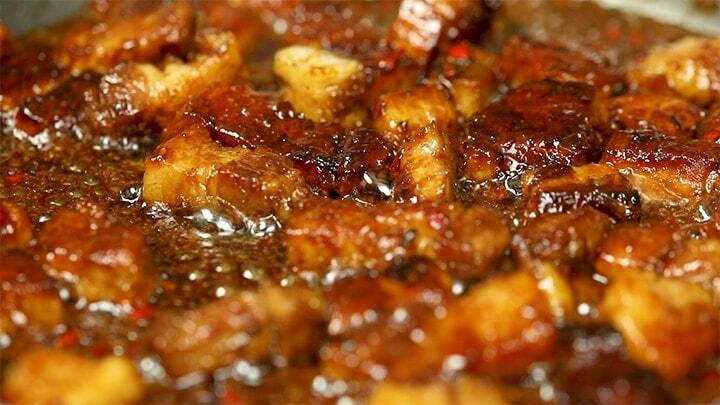 Home > Asian > Sticky Chinese Pork Belly PLUS VIDEO! 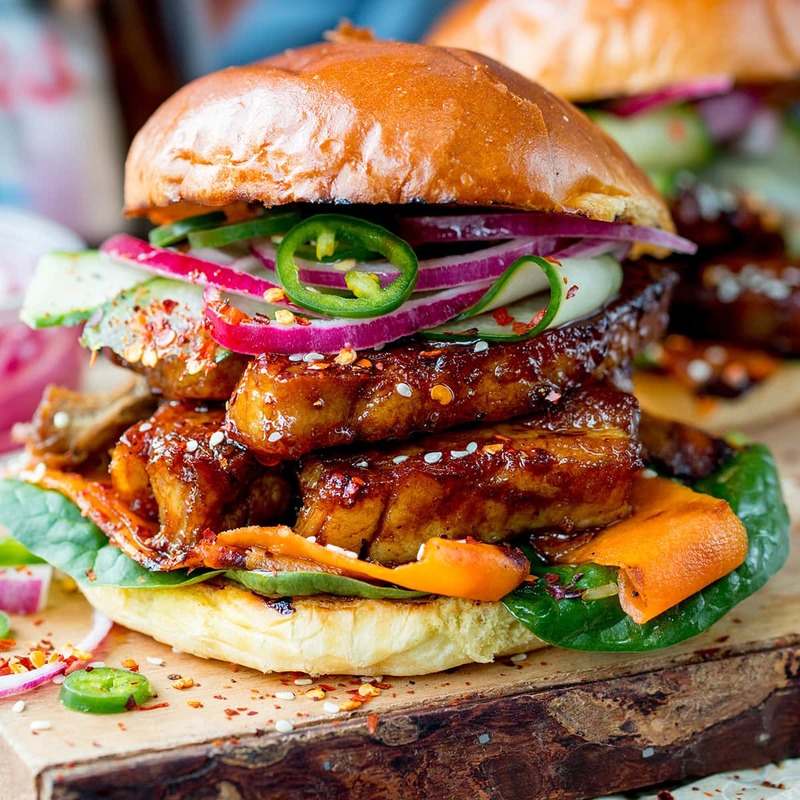 This Sticky Chinese Pork Belly is one of my absolute favourite recipes on the blog. 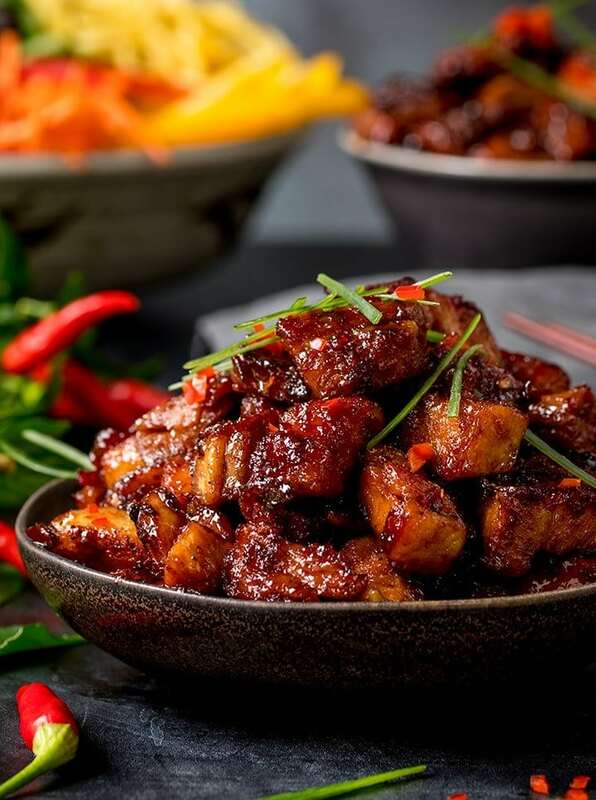 Check out my three step process for pork that’s meltingly tender, with a crispy exterior and gloriously sticky/sweet/spicy coating. 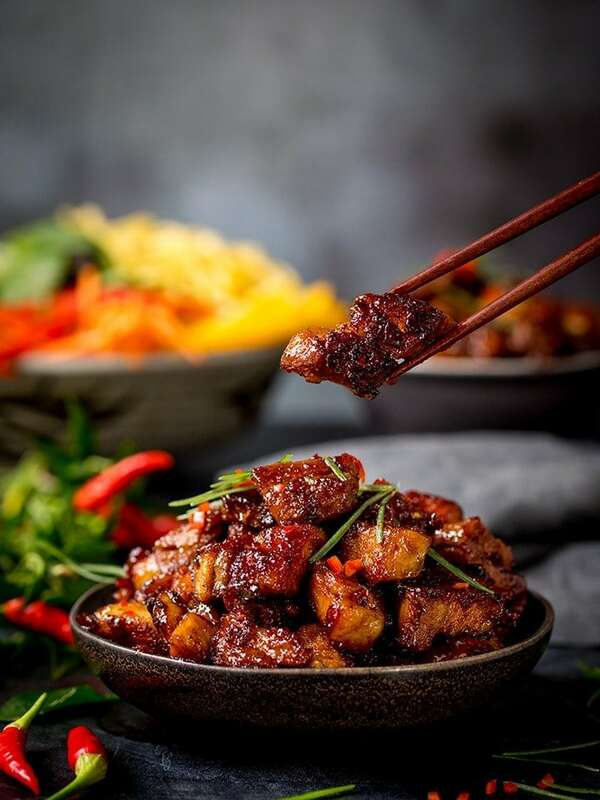 Sticky chicken stir fry, Gingerbread cake with Stick Whisky glaze, sticky Asian sea bass this sticky pork belly and AT LEAST nine others (just did a quick count). I’m all about the sticky. Just call me sticky Nicky. Actually don’t. That sounds weird. I sometimes like to kid myself and call it caramelized – like this ‘caramelized beef brisket‘. But at the end of the day, I just mean coated in some kind of sugar and then cooked until you reach the dark brown, shiny stage, creating an intense flavour that takes whatever you’ve just made to a whole new level. How could anything finished in that way not taste amazing? Let’s pick a few random foods and see…. Toast: Oh my god yes. That may even be better than French toast! Brown sugar caramelized toast with raspberries? Ok, I just sorted tomorrow’s breakfast. For this recipe, the sticky layer is added right at the end. Don’t be fooled though. Just because the pork hasn’t been marinating for hours, doesn’t mean it’s not going to taste amazing (I confused myself with double negatives there, but I’m basically saying it tastes amazing even though we’re only glazing at the end). That’s it. Three layers of flavour in a simple recipe that really does take minimal effort. I’m going back to that sticky toast and raspberry daydream now…. Yes! Replace the soy sauce with tamari. I’ve done this several times and it works great. 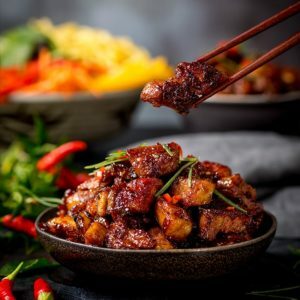 I haven’t tried this with a meat-like alternative, but my Asian-style cauliflower wings make a great alternative. 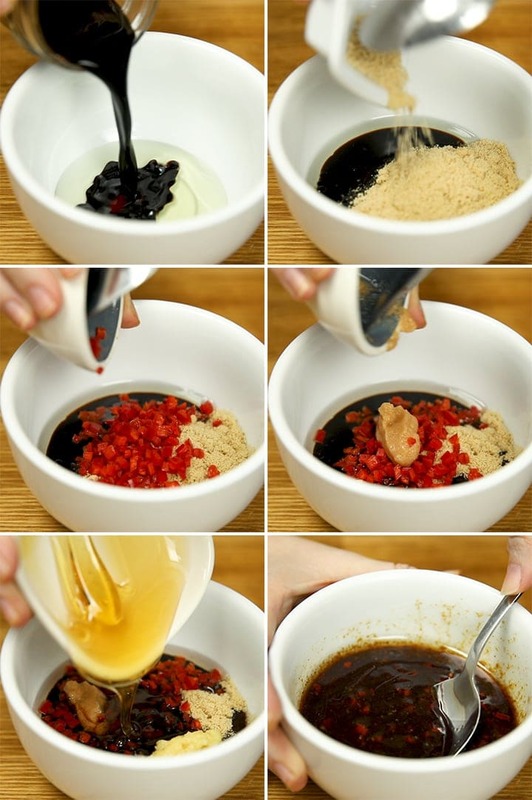 A small mixing bowl to mix the glaze ingredients in. Instead of a mixing bowl we use loads of these for mixing, prepping, and serving. This post was first published in March 2015. Updated October 2018 with new photos and tips. Some of the links in this post are affiliate links – which means if you buy the product I get a small commission (at no extra cost to you). If you do buy, then thank you! That’s what helps us to keep Kitchen Sanctuary running. The nutritional information provided is approximate and can vary depending on several factors. For more information please see our Terms & Conditions. 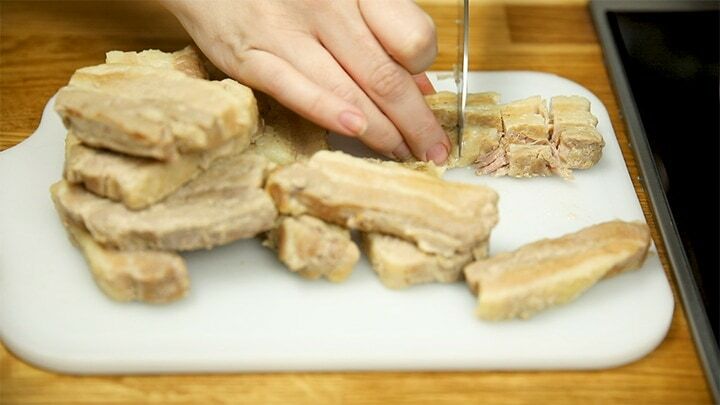 Our local co-op always has beautiful packages of pork belly but I’d never tried cooking it until I saw this recipe. Made it tonight and OMG, so good! Can’t wait to try the (healthier, haha!) 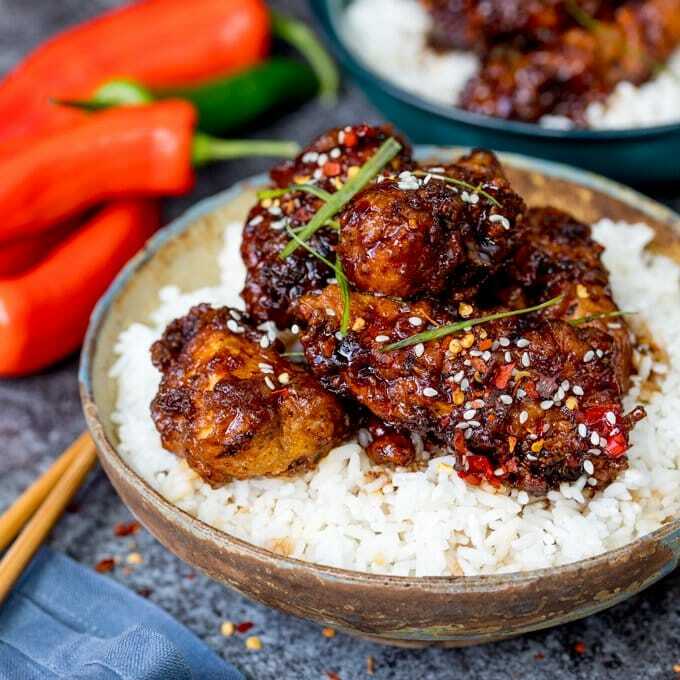 asian style cauliflower sticky wings! 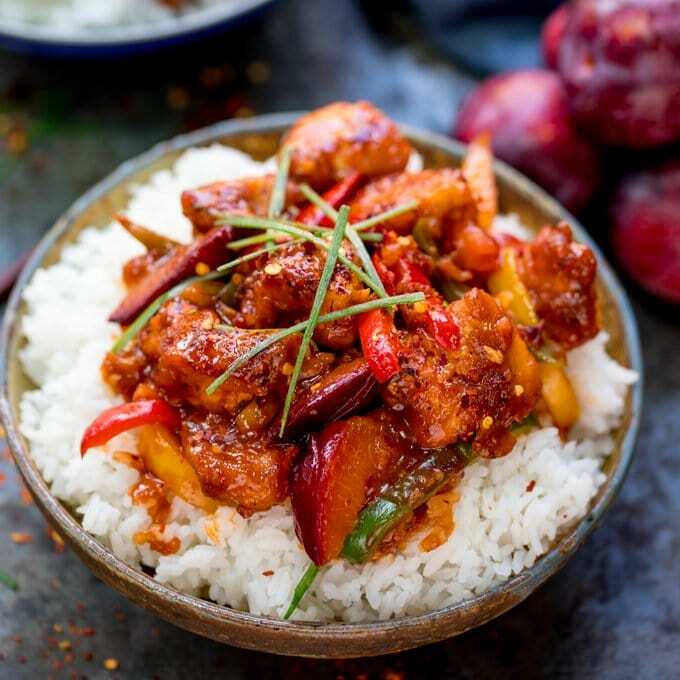 There’s just something so rewarding about homemade Chinese food. Just letting you know that, to make it gluten free, you’re almost certainly going to have to take out the rice wine. Most rice wine actually contains wheat and thus gluten. I’m not sure there’s any gluten-free rice wines. I haven’t come across any so far. Many thanks for this James! I’ve updated the recipe now. If you can’t find a gluten free Chinese rice wine, it can be replaced with sherry. I think I just fell in love all over again. 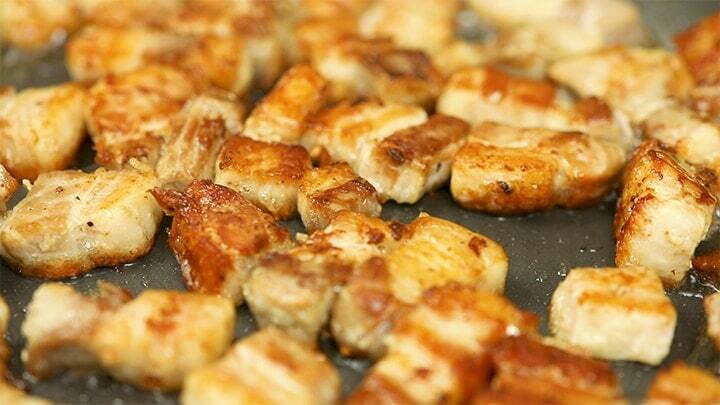 Nicky, I love this sticky pork belly. 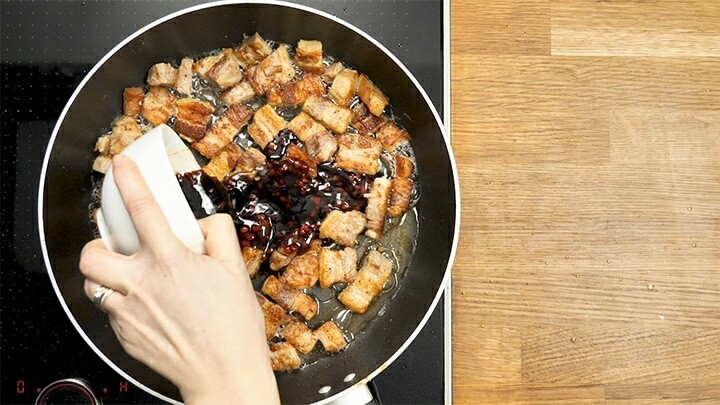 I mean pork belly is already just amazing, and the flavors in the sauce sound just amazing. I’m totally with you on the sticky stuff…its SO GOOD! Next time you make this try removing the sugar and adding raw honey. I got that from a Chinese recipe. Wonderful. Thanks Michael, I will definitely give that a try with raw honey. 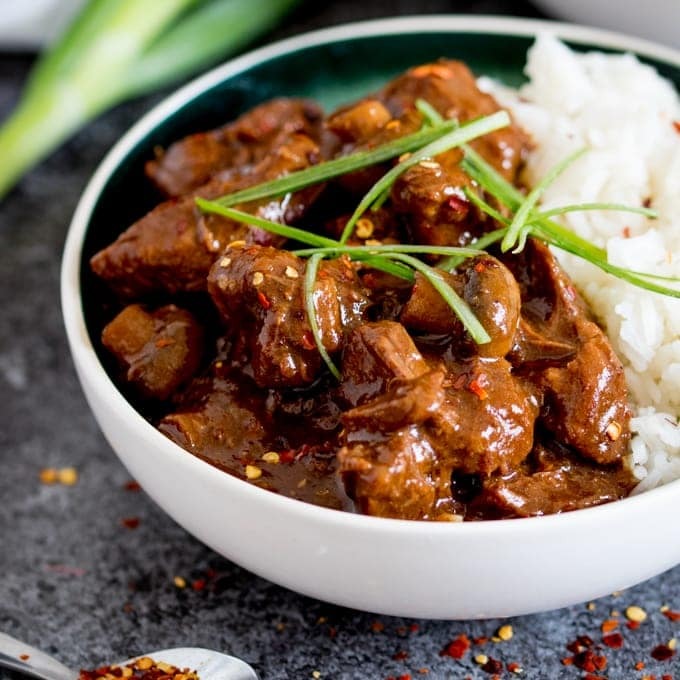 I didn’t have 2hours to slow cooked the pork so I put it in the pressure cooker for 40min and follow your recipe and OMG it was delicious sooo nice. Hi. Just wondering if I can use a crock pot for the slow cooking stage. I would love to cook this at the fire house in a slow cooker for 8 firefighter. Do you have any tips?? You could make the slow cooked stage ahead then the last stage of frying and heating the sauce when you are ready to serve. 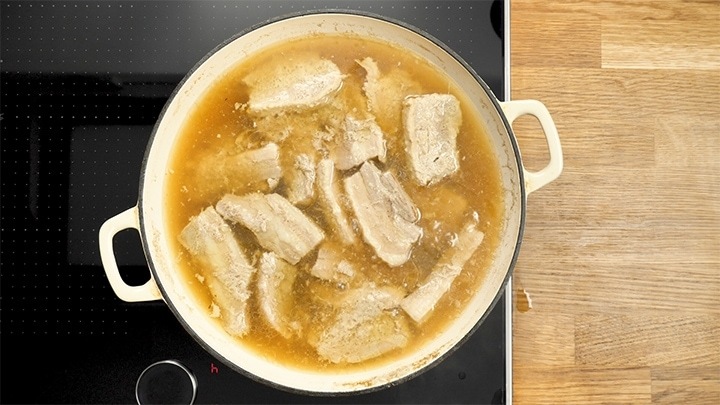 without a doubt my favourite pork recipe!!!! Cooked this for the 2nd time tonight and it tastes just as amazing. One of my favourite ever meals probably – would definately one to impress guests when they come over. Super tasty!